Looking to keep in shape between races or thinking ahead for a way to work off those holiday calories? Our new Winter Warrior program is for you! Meet new training buddies, change up the scenery and get your miles in. Runners don't let other runners run alone, especially on cold, dark runs. 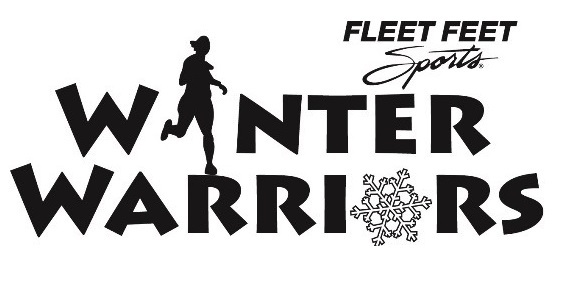 Beginning the first Wednesday of the 2015 new year, Fleet Feet Hoboken will host it’s first ever Winter Warrior Challenge! The rules of the game are simple. All you have to do is attend and participate in as many Wednesday Night Fun Run’s as possible between January, 7, 2015 and March 11, 2015. Runs leave from Fleet Feet Hoboken at 7pm every Wednesday evening and consist of scenic 3.4 mile or 6.8 mile routes (you choose whether to run one or two loops), along Washington Street and the Hudson River. You earn ONE point for showing up for each run (10 runs total). Let's all be Winter Warriors, so layer up, lace up your shoes, get your snowshoes ready and let's have some fun this winter!! See you on Wednesday, January 7th at 7pm! REGISTER BELOW OR COME BY THE STORE ANYTIME! THE MASTER ATTENDANCE/POINTS SHEET WILL BE KEPT AT THE STORE, SO YOU MUST OFFICIALLY CHECK IN EVERY WEEK. Post by Fleet Feet Sports Hoboken.